Yoga is great way of adapting a traditional yoga practice whilst floating on water, the paddleboard becomes your new floating yoga mat! 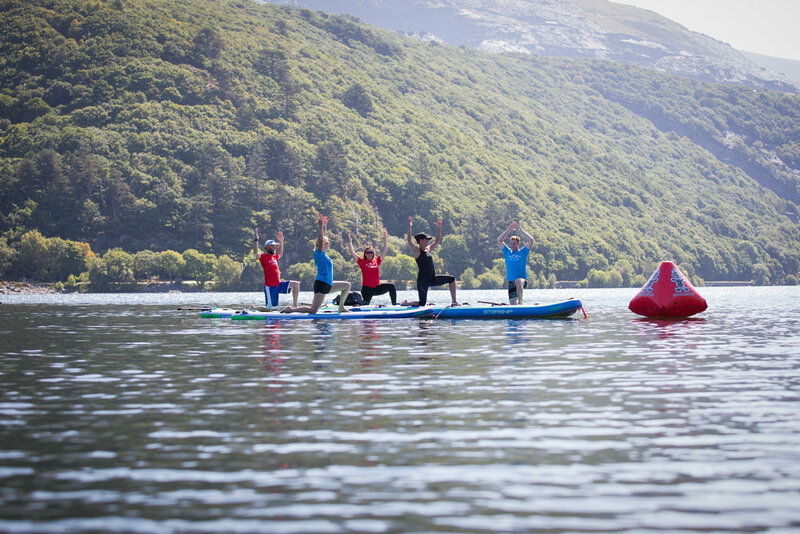 We are so lucky to have such a wonderful setting for SUP yoga, with stunning views of Snowdonia and a beautiful canopy to find shelter. 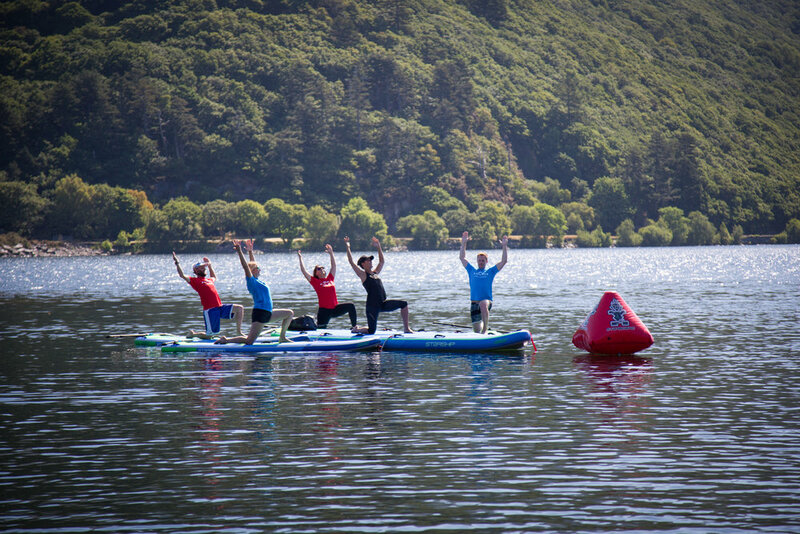 It will give a totally new yoga experience whilst floating on the water, improve your wellbeing as it is a perfect opportunity to take time out, a digital detox, re connect with nature with like minded people. 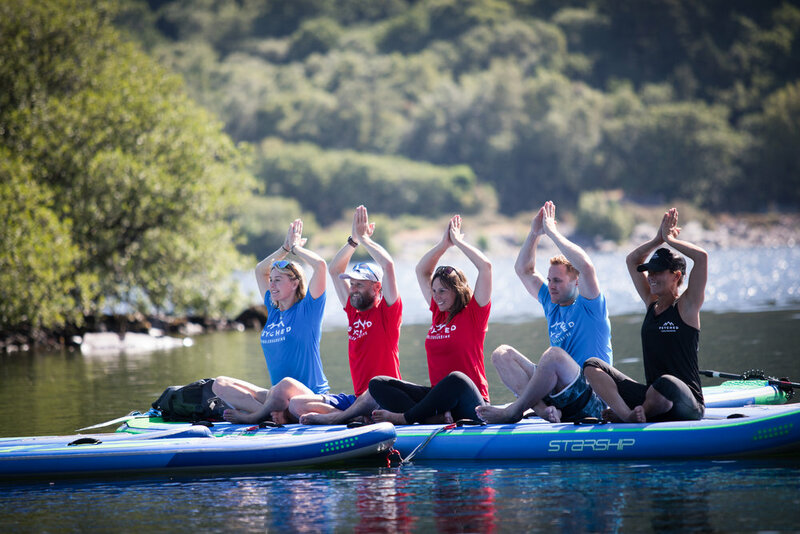 SUP yoga allows you to fully connect with the board by adjusting to the movement of the board on water, you will maximize your core stability throughout the entire class. 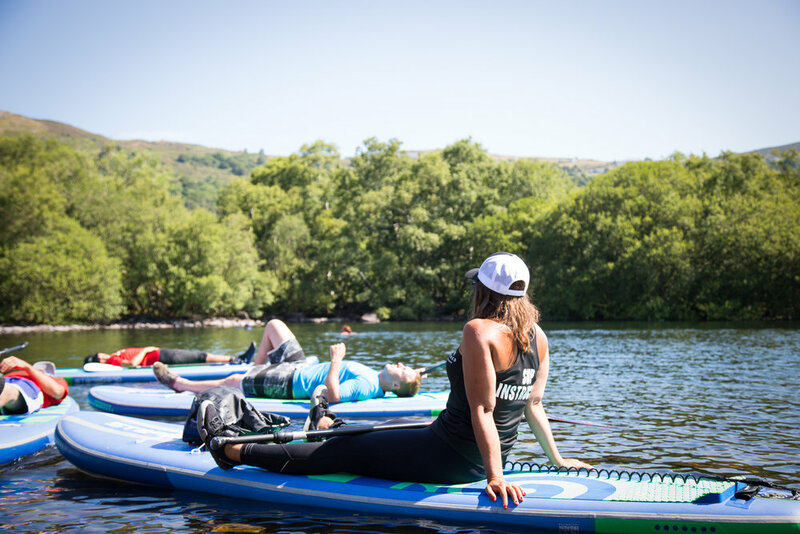 Previous experience of SUP and Yoga are definitely an advantage to help you get the most out of your SUP Yoga practice, but even complete beginners of both can take part in this fantastic new form of yoga. SUP Yoga can be practiced wearing your usual yoga clothing, however wetsuits are available on hire if you prefer. You can choose to do a drop in or a block booking of 5 classes. For block bookings you will be provided a voucher code and you can book a slot. Advisable to book in advance as places are limited. 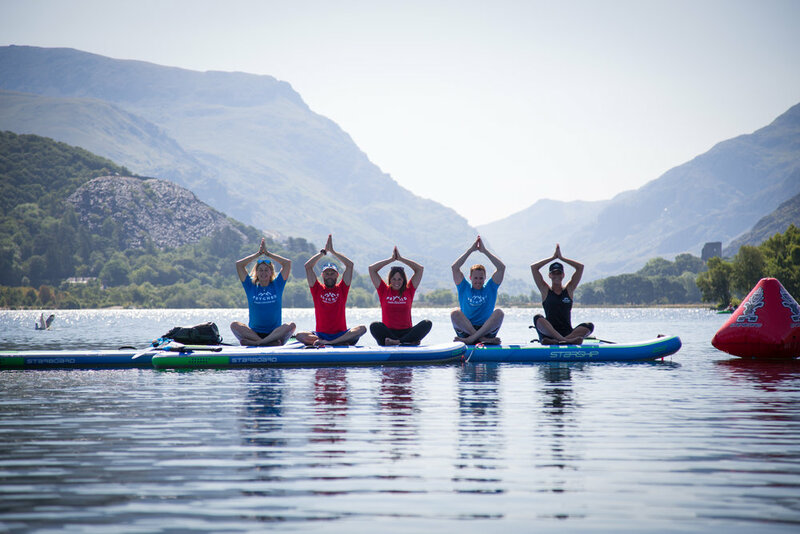 We run SUP Yoga on Llyn Padarn, a perfect lake to enjoy spectaular views of Snowdon.